The congregation was organized in 1911. Mr. Jakob Herter donated two acres for the church site and was paid $25.00 for a third acre. The congregation disbanded in June 1970. Legal land description is SE 28-15-28-W3. The plot is seven miles west and four miles north of Golden Prairie. Data collected during a site visit August 30, 1996. 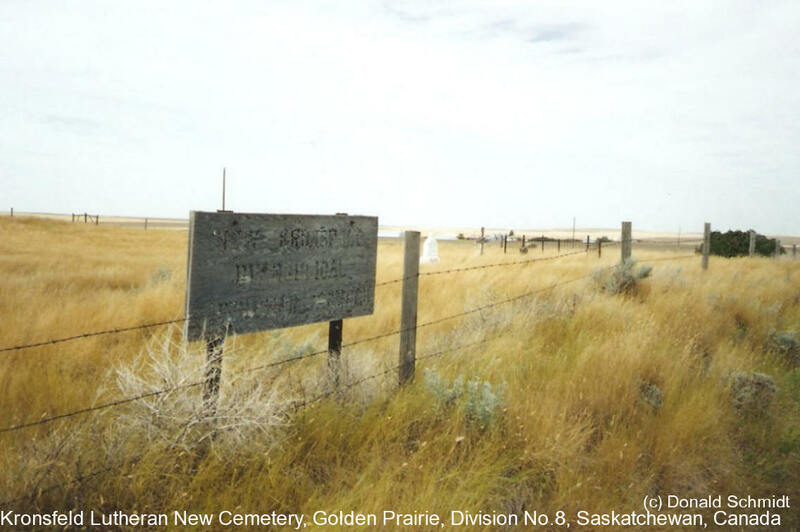 A number of graves along west fence line were covered with drifting soils. First burial 1918 and last in 1968. Church records prior to 1936 are missing. Sources were a site visit, local history book and records by Pastor Emil Krause.